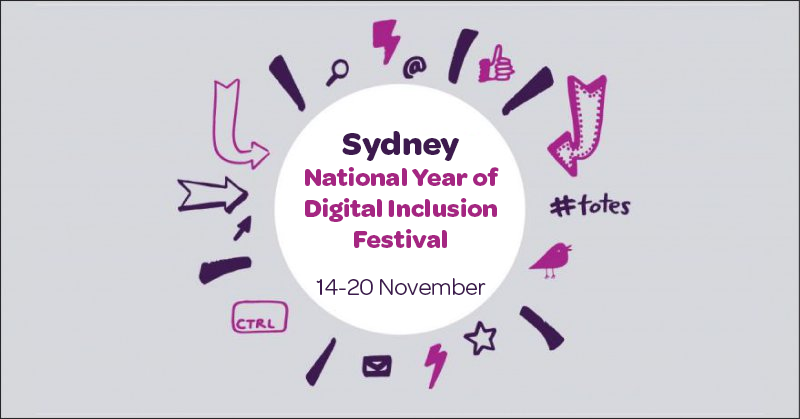 In conjunction with Digi House, Go Digi is heading to Sydney and will feature a National Conversation Forum, a Digital Inclusion Expo and Pop-Up Festival. These three events are designed to spark ideas around digital inclusion in Sydney and showcase some of the great work which is happening in the area. Go Digi is run in partnership with Infoxchange and Australia Post. Digi House is delivered by Infoxchange with support from Google. Both Go Digi and Digi House aim to support people to build their digital literacy, with Digi House focusing on the digital literacy needs of social housing residents. Can you have innovation if you don’t have equity? Our desire to be innovative drives development in technology, but what does that mean for the 3.5 million Australians who are on the wrong side of the digital divide? How do we make sure everyone can innovate? A digitally enabled and innovative Australia. Get involved in the discussion with our Panel Sessions on Digital Literacy in Social Housing, Digital Families, Innovation in local communities and Innovation for all through accessible technology. The Digital Inclusion Expo will be held in tandem with the Conversation Forum. At the expo participants can take part in digital inclusion activities and hands-on learning - take a ‘Digital Inclusion’ Selfie, or share your ‘Digi Confession’. The Go Digi Sydney Pop-Up Festivals will feature a number of great events run by our local Network Partners designed to help people improve their digital skills and online confidence. Drop by to learn more about technology, as well as how to access Go Digi learning guides and free digital literacy programs in the Willoughby area. Discover some must have mobile apps for Seniors - apps to help keep in touch, stay healthy and have fun. Learn how to use Chinese scripts to search the Internet. Learn how to use Ancestry.com and other resources. Improve your videos presentations using free apps for smart phones and tablets. A hands-on introduction to a variety of social media platforms. Learn how to download and manage free mobile apps, whilst protecting your privacy. Join us for a cuppa at iTea, bring your device and questions & try new technology.